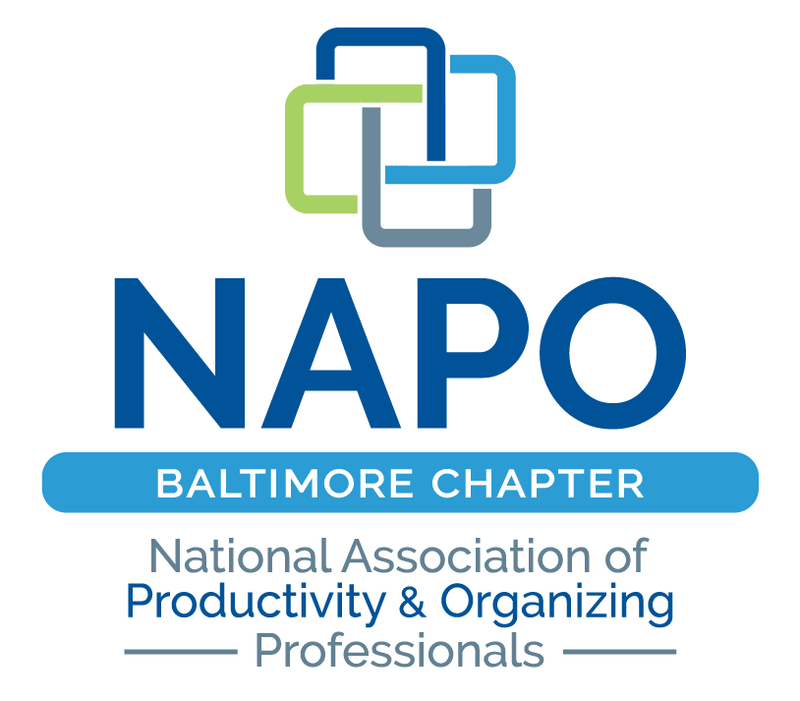 Chapter meetings are provided for the professional enrichment of NAPO Baltimore members. The meetings are also open to those interested in becoming professional organizers, potential members, or business owners who are attending to hear a specific guest speaker on the topic of business development. These meetings are not intended for the general public, for organizing clients, or for those seeking information on how to get organized. Each chapter meeting will begin with about 20-30 minutes of open networking, followed by an approximately 1-hour program and a few more minutes of open networking at the end if time permits. Our meeting venue closes promptly at 8:45pm. The guest fee is $20 per meeting. Guests are welcome to attend up to 2 chapter meetings per 12-month period. NAPO Baltimore members are welcome to attend an unlimited number of times.